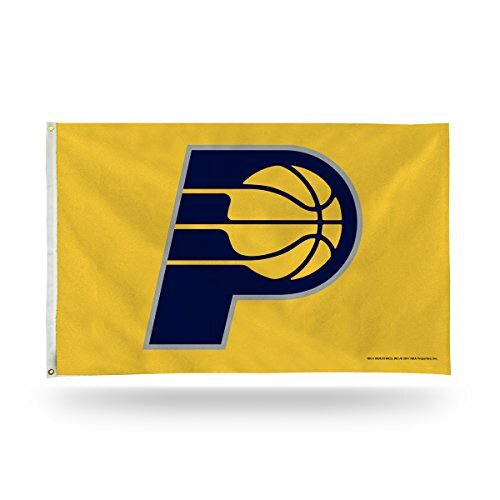 Display your team pride with Rico's colorful 3-foot by 5-foot single sided banner flag. Each flag is colorfully decorated in team colors with an officially licensed team graphics in the center of the flag.. this single sided banner is double stitched for added strength and durability, and comes with two metal grommets for hanging. Made of 100% polyester.